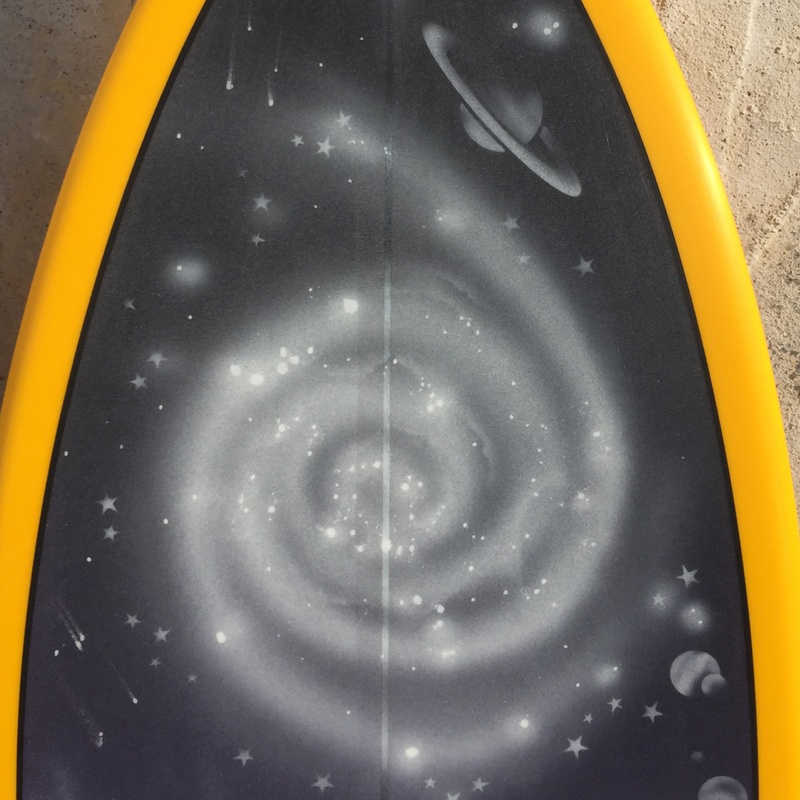 Just beamed down from the Moonbase to Surfy Surfy, cosmic Sunset Twin Keels. 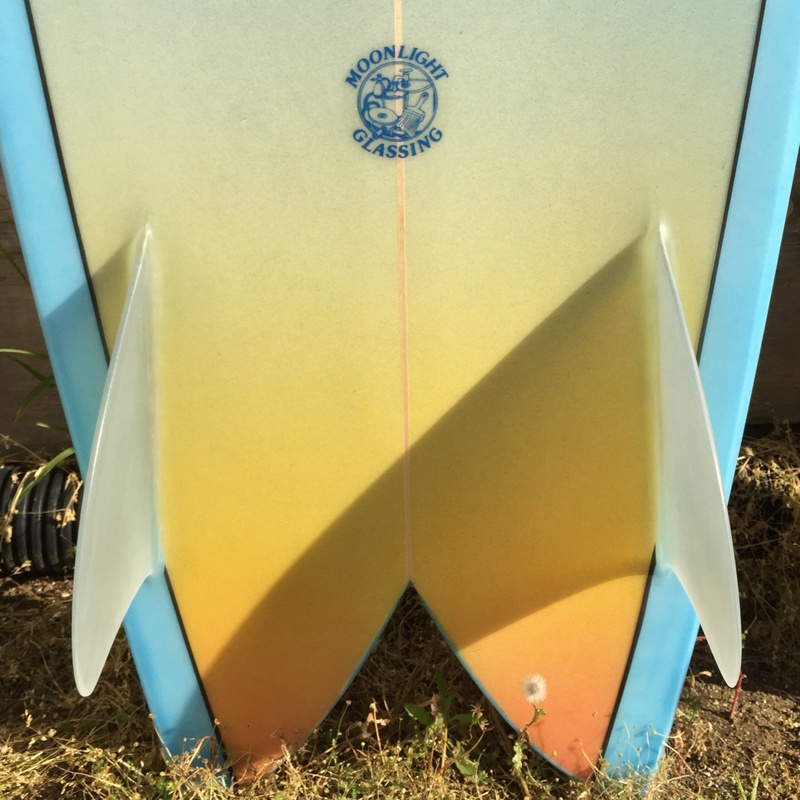 Shaped by Brian Fredrickson who took over the Sunset label from Ed Wright decades ago. 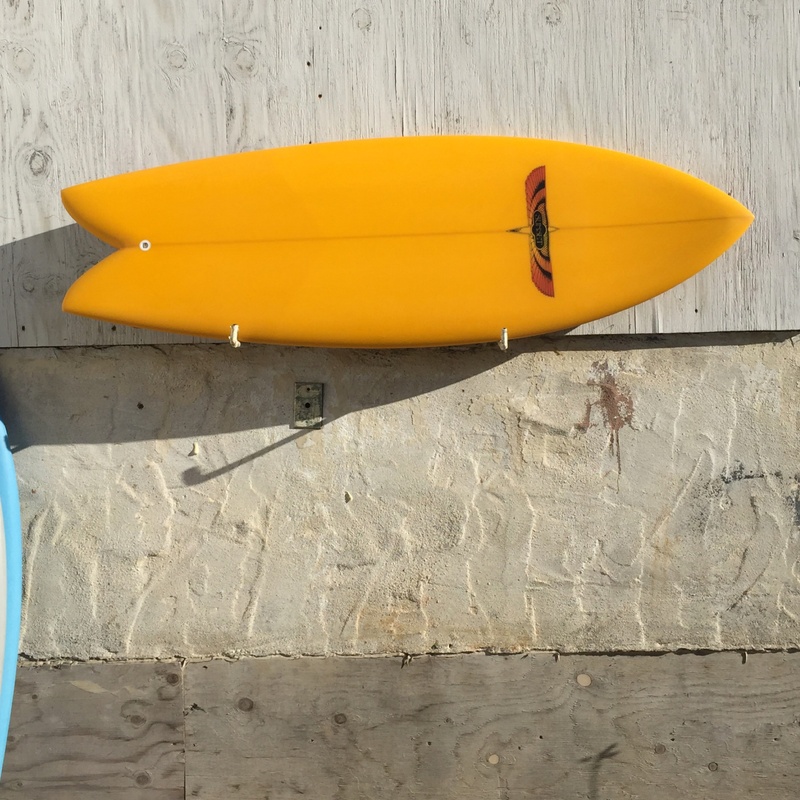 These boards were built by the original Sunset Surfboards glassing crew. 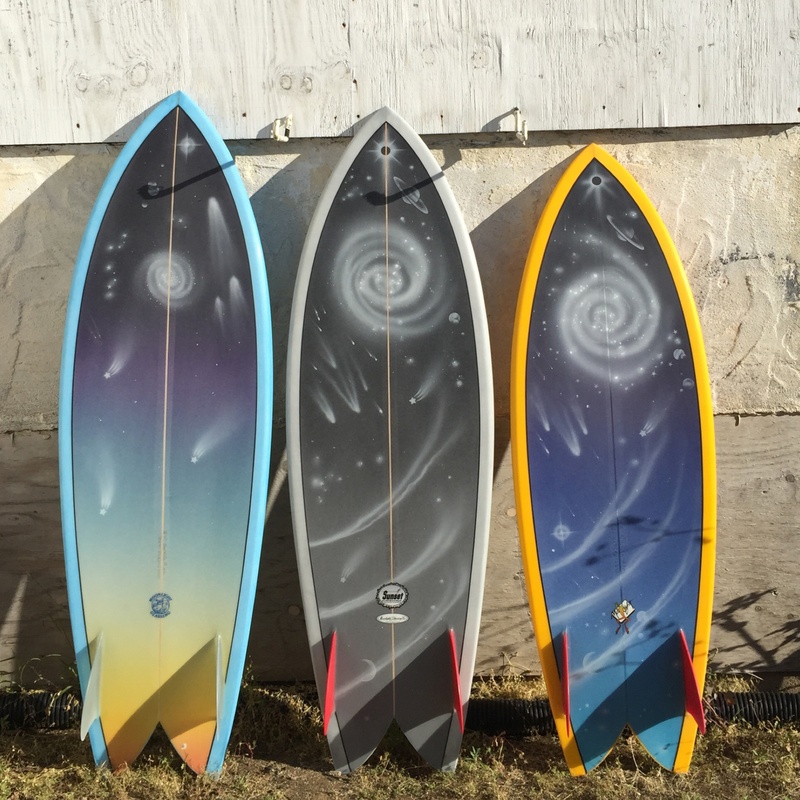 Surfy Surfy is based on the old Sunset Surfboards Surf Shop in Encinitas. Features original Sunset logos and old school Moonlight logos. 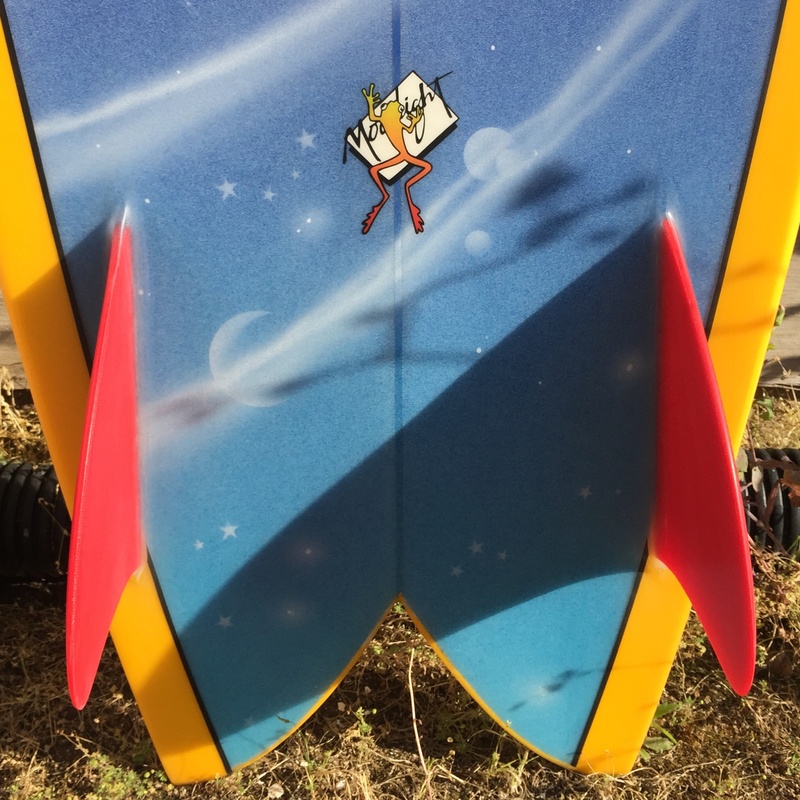 Fins are the single foiled, it’s the template JJR designed with Machado in 2005.